It’s been awhile since I filled this space, but it’s because I’ve had a lot on my mind. 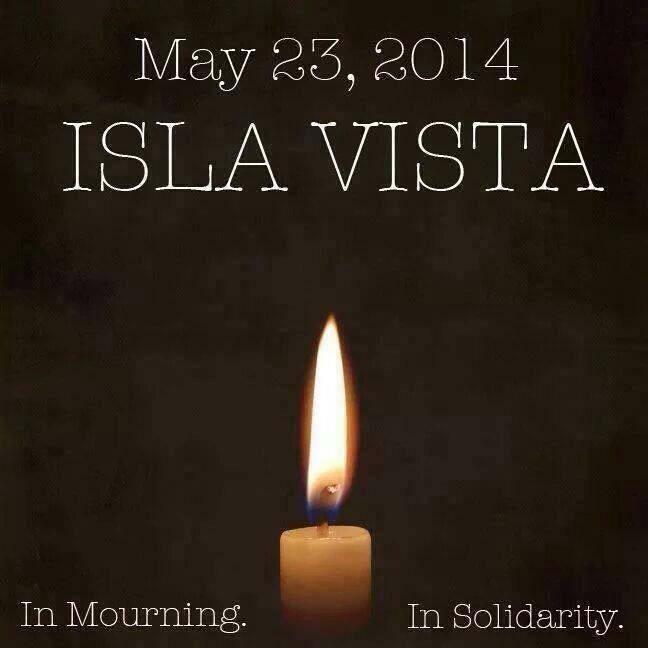 In my head I had been crafting this post ever since I heard the news about the tragedy in Isla Vista, the small town where I spent four years of my life while going to UC Santa Barbara. My friends have been filling up my social media feeds and it’s been hard to ignore the hashtags, mentions and general feelings of anguish based on the random violence that left six dead and many more injured. Rather than the effect on the community or how it might have affected those who hold that hamlet by the sea in a special place in their hearts, what I keep thinking about is: What about those families and people who now have holes in their lives? Personally, I’ve escaped death once. My experience was life-altering because it changed how I approached things. It made me realize that you never know when your card is going to get pulled, so you should live every day to the fullest and enjoy what you have. You should be honest to people, tell them how you feel and appreciate them. I think we’re all too guarded sometimes because it’s human nature, but we shouldn’t be. Maybe you’ll never have the chance to tell the people you appreciate that you truly do appreciate them, respect them, love them, cherish them. In your head it might sound like a risk, but wouldn’t it be nice if someone told you how much you mean to them? It’s something we’ve all heard before. We shouldn’t need these reminders. Sometimes, though, it helps reinforce ways to make the world better. This incident two weeks ago might have affected me differently. While I try to act on my own advice, it was always very personal driven. In national TV interviews I saw the heartache of a father who lost his son. He will never be able to hug him again, laugh with him, enjoy life with him. So I picked up my little girl and I hugged her. I told her I loved her. Inside, I felt that while she was frustrating at times and she challenged me as a person and sometimes I wonder about this whole fatherhood thing, I don’t know what the future has for us, so I wanted to appreciate her in the moment. I’ve lost friends and family members who have meant a lot to me. But to lose a child would be a completely different experience and in that moment I had a better understanding of what it would mean. I’m going to continue being open and honest with those who mean a lot to me because I feel it’s a great quality to try and live your life by; but I’m also going to hug my daughter a little tighter each day, try and see the world through her eyes each day, tell her I love her as often as I can. Every day I’m working on being a better person. Now I’m also working on being a better dad.